PMP is proud to announce the beginning of a partnership with Rollmeister Inc. Rollmeister became PMP’s tier-one supplier for roll services in the US market, expanding PMP’s portfolio together with PMP Americas Inc.
​PMP Americas is one of PMP’s divisions, located in Machesney Park, Illinois, USA. PMP’s US division expands its portfolio by offering new replacement simple felt, spool and wire rolls as well as more complex rolls such as suction rolls and cc rolls in the North American market place. PMP Americas is leveraging their manufacturing plants in Poland and Asia to get optimum cost solutions while at the same time maintaining the same high quality final product. A flexible approach and on time delivery are the main priorities for PMP Americas. Engineering is provided out of the Illinois office as the best way to ensure high quality service. I am very excited with the new partnership with PMP. This will allow Rollmeister to service more rolls in the North American market. It also gives us the engineering expertise that we did not currently have in our offerings. We each bring our own specialties to this partnership which will benefit current and future customers. ​MIKE WALLER, President Rollmeister, Inc. In addition to the new offerings, PMP Americas has signed an agreement with Rollmeister, Inc. located in Neenah, Wisconsin. This agreement provides a PMP Service Center for PMP's roll market. Rollmeister is a recognized service supplier in the Midwest of the USA with an excellent reputation for high quality service and competitive pricing and understands customers’ needs and expectations in the market. They have been serving the paper industry for the past 23 years. 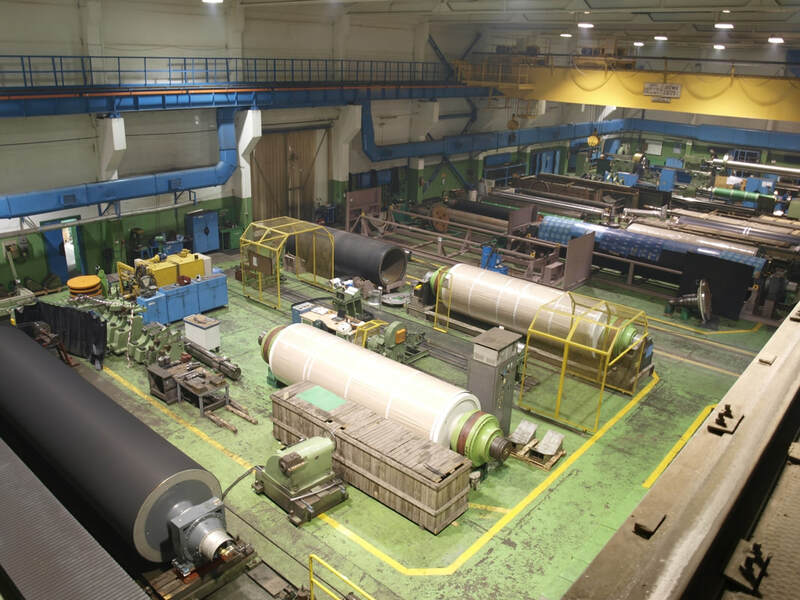 Rollmeister has expertise in precision roll grinding, suction roll maintenance, paper machine roll inspection and roll mechanical repairs for the paper industry. Their team is comprised of highly skilled personnel that have an average of over 25 years of experience. An official announcement was made during an Open House that took place on the 26th of September 2017 at Rollmeister’s facility in Neenah, Wisconsin, USA. The event was a great opportunity to present Rollmeister’s capabilities and announce the partnership to local mills. The event was supported by government representatives including Neenah Mayor - Mr. Dean Kaufert, State Representative: Mr. Mike Rohrkaste and District Director: Mr. Bill Kloiber. After signing and announcing the agreement, both companies are working toward the common goal of growing the business in North America by offering high quality products and services for the paper industry. It is my pleasure to announce the partnership between PMP and Rollmeister. I believe Rollmeister’s dedication and experience will bring exceptional value to PMP’s business in North America. The Rollmeister team has impressive capabilities and their work ethic and management style blends well with our company. We are looking forward to a long and fruitful relationship. ROCKY MATUSKA, General Manager PMP Americas, Inc.